After a series of mythic reissues, (Pole, Marie Et Les Garçons, etc.) Gonzaï Records confronts a French production legend: Bernard Estardy. The album Fragments D'une Empreinte Magnétique is a collection of 12 originals, rare and collectable songs, composed and recorded by the producer between 1966 and the year of his passing, 2006. If you don't know him by his real name, you might know him under the nickname: "The Giant". Whether you're aware of it or not you've certainly heard his music, leaving behind him over 1,500 songs, some of which have made history. Bernard Estardy started by playing in Parisian jazz clubs as a young pianist backing great acts such as Bill Coleman or Nancy Sinatra. After becoming an expert on the keys, his next adventure was playing the organ for Nino Ferrer and creating the riffs which are known today as classics. You've guessed it, behind the songs "Mirza" or "Les Cornichons"; it's Bernard. Nino Ferrer being like a volcano, always on the edge about to blow, Estardy co-founded the CBE Studio in 1969 -- one of Paris's legendary studios. There, the most popular songs and albums of the French repertoire were recorded from François Hardy's "Comment Te Dire Adieu" to Manset's "La Mort d'Orion", even Bert Jansch or Lee Hazlewood visited the studio. CBE has been the home of many great acts from Johnny Hallyday to Serge Gainsbourg, and one way or the another, the very man behind the mixing desk is responsible for more than 400 million record sales all over the world. Impressive, right? As a tinkerer of tunes for many others, he forgot to sell his own talent. He secretly recorded two albums and made more than a hundred instrumentals, all of which were kept in storage for years. Until now. His style? A mix of post-jerk, library music and cosmic disco. Fragments D'une Empreinte Magnétique reveals the story of his mysterious life: a collection of originals songs, some of them forgotten, but they all have the The Giant's signature sound. 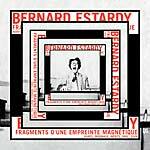 A master of the mixing board from the late '60s until the '90s, Bernard Estardy was the wizard of French musical recordings. As head of CBE studios, he shaped everything from Gérard Manset's concept albums to Claude François's hit singles, Françoise Hardy's delicate tear-jerkers and Michel Sardou's soul-stirrers. This "giant" had his hand in the whole range of mainstream French music by making his studio a veritable playground for experimentation. His legendary album La Formule du Baron, released in 1969, and the eight LPs of production music he made between 1974 and 1978 for Tele Music are vivid proof. 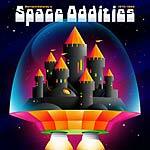 Born Bad Records present Bernard Estardy's Space Oddities 1970-1982, a collection of his work. CD version includes a 16-page booklet with text in English and French. LP version includes printed undersleeve.